This height adjustable iPad, Mini iPad and Tablet Floor Stand is the ideal accessory for your tablet and iPad. It will work with most 7" - 10" tablets, including the iPad1, iPad2, iPad3, and iPad4. It will not work with the iPad mini. 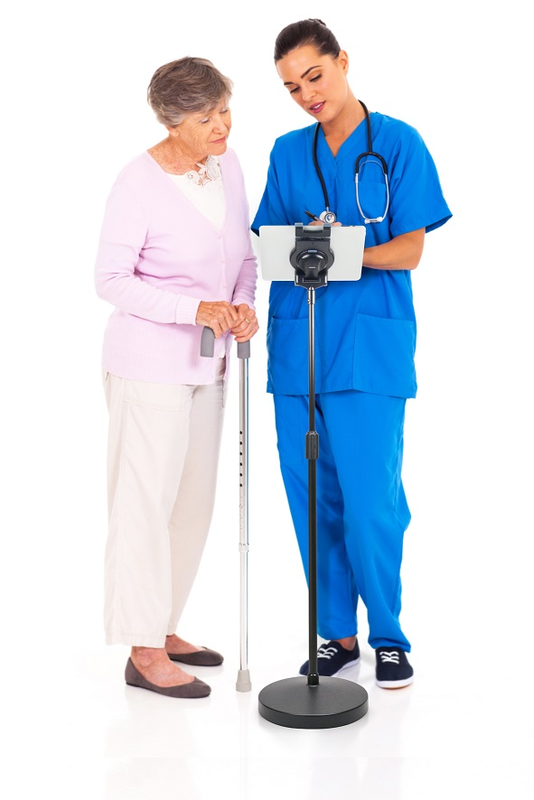 This floor stand is height adjustable from 36.1" - 55". The weighted base makes this ideal for home, office, trade shows, hospitals, clinics, library's and more. 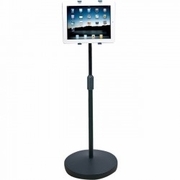 Your tablet easily attaches and detaches from this portable freestanding tablet stand. Ergonomic hands free design offers relaxing viewing. Adjustable angle adjustments. Height adjustable from 36.1" - 55" .Stable weighted base. When it comes to iPad / Tablet stands, the Aidata US-1006W has all the adjustability you're looking for.